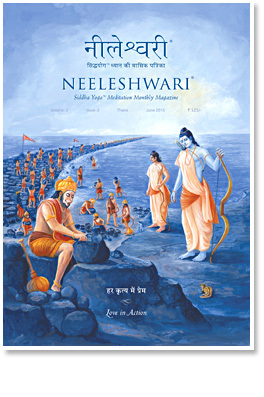 This special edition of Neeleshwari is dedicated to the landmark Birthday of Shri Gurumayi. Her grace and love has touched millions of hearts and transformed their lives in many ways. Her compassion has led the Siddha Yoga mission to manifest in innumerable forms​. This issue is an expression of love and gratitude from the seekers to their beloved Guru, Shri Gurumayi, on Her auspicious Birthday.